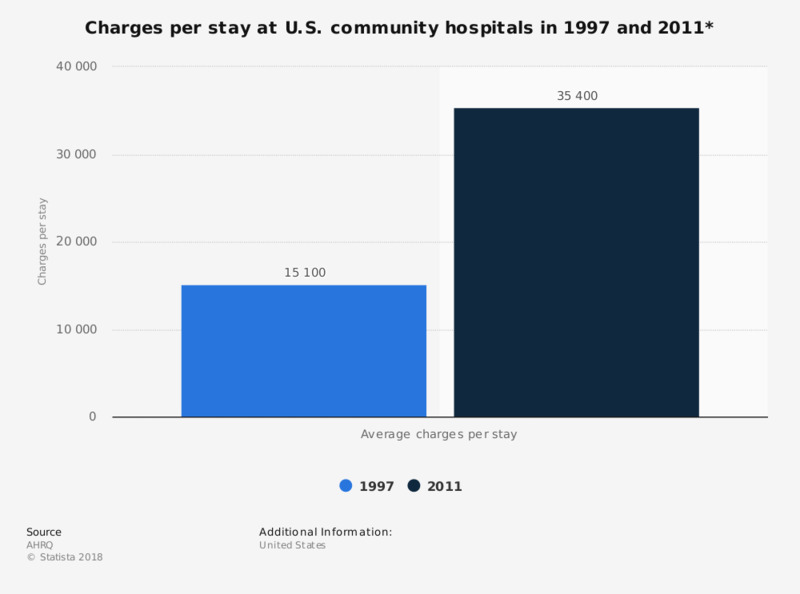 This statistic shows the charges per stay at US community hospitals in 1997 and 2011. Charges represent amounts billed by hospitals. These amounts are seldom paid in full by insurers or patients. In 1997, the average charge per hospital stay amounted to 15,100 US dollars. Charges represent amounts billed by hospitals. These amounts are seldom paid in full by insurers or patients. * Inflation-adjusted to 2011 U.S. dollars.